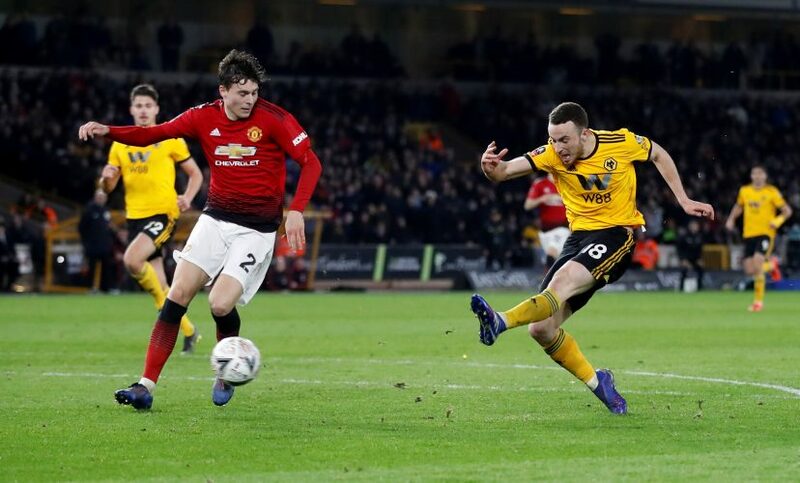 Manchester United suffered yet another defeat at the Molineux, as Wolves dealt a major blow to the visitors’ hopes of finishing inside the top 4 in the Premier League. Couldn’t have done much to keep out Diogo Jota’s equalizer, but should have dealt with the cross that led to Chris Smalling’s own goal. Abysmal for the entirety of the time he spent on the pitch. Crosses were awful. Cleared the ball aimlessly. Got sent off after picking his second yellow. Defended well at the start. Scored the own goal in the second half, which ended up being the winning goal for the opposition. An okay return to the lineup after having missed out the game against Watford. Delivered a pinpoint cross early in the game, which should have been headed in easily by Romelu Lukaku. Went quiet as the game progressed. Started the game quite impressively. Scored his first goal for the Mancunian outfit with a nice shot from distance. Could have bagged another after the break. One of the best players on the pitch at the start of the game, until he lost possession and gifted Wolves the equalizer. Was replaced by Phil Jones after Young’s sending off. Booked for a tactical foul, thanks to which he shall now miss United’s next two league encounters. Missed a sitter by heading the ball too casually. Showed smart movement in the first half, but was as good as invisible in the second. Should have easily scored two on the night, but his poor finishing played a part in costing his side three valuable points. Didn’t do much to prevent the own goal. Failed to make any impact.